Quebec’s R-score: A GL.TCHy Measure of Academic Achievement? We compete for sports medals, race for seats on the metro, compare Facebook likes– our lives are polluted with rivalry at every turn. We are brought up with the conviction that everyone is a rival. We are indoctrinated to believe that the nature of fierce competition serves to “prepare the youth for the so-called, ‘real world’”. This painful, yet seemingly necessary lesson is most intensely enforced in schools; students going through the Quebec CEGEP system can, and have, testified to this. The rivalry promoted by the CEGEP system has students feeling as though they have little to no control of their future. For Camron Calderón, a 2nd year Liberal Arts student at Dawson College, it takes the joy out of learning. The reasoning behind the Quebec CEGEP system is that it serves to help students decide what they want to pursue career-wise, and prepare adolescents for university. CEGEP graduates are able to complete their bachelors in three years instead of four, and as of 1995, be ranked based on an R-score grading formula as opposed to the standard GPA. 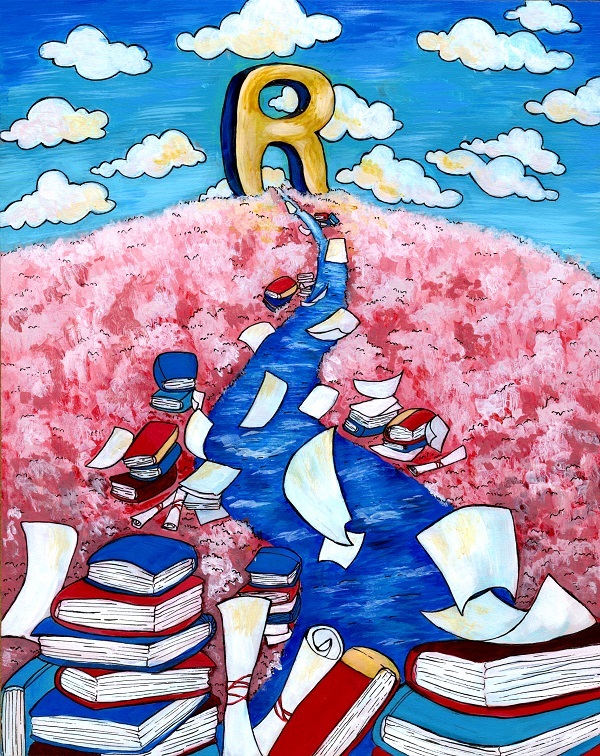 The R-score is a statistical method of ranking academic performance, each CEGEP student is given one at the end of each completed semester; it is a grade out of 50. The variables that translate into the R-score are largely circumstantial: secondary IV and V marks, CEGEP marks, class averages, class standard deviations, class medians, number of students, marks of students in the same courses in other classes, marks of students in same courses in other CEGEPS, and CEGEP ranking. The R-score establishes a context where 95% can be considered a “bad” grade; a system where being 15% above class average does not guarantee a “good” score if the standard deviation is a percentage point above; a system where a secondary IV and V mark follows you, potentially affecting university applications; a system that promotes intense rivalry between peers as opposed to collaboration. These are the realities of Quebec’s R-score system, “and most of it is out of the student’s control,” confirms Calderón. “We should be compared to our peers, naturally, but to what extent? Are we comfortable valuing competition rather than thorough understanding of the material,” said Calderón. The R-score is never explained and seldom mentioned in schools; yet, each and every one of the thousands of CEGEP students in this province relies on it as their key into their preferred university program. The Conférence des recteurs et des principaux des universités du Québec published, respectively, an 18-page and a 60-page document explaining the R-score formula. The essence encapsulated in the 18-page document embodies that of a ‘R-Score for Dummies’ and offers a very basic explanation. In addition it highlights that “using the Z score to compare student groups with different characteristics results in a biased and less valid ranking” effectively putting in question the entire formula's legitimacy. The 60-page document, in contrast, does not available in English, and offers an exceedingly more complex formula. Dawson College is a part of the “Fédération des cégeps” along with 48 other existing CEGEPS in the province. This “federation” falls under the jurisdiction of the Quebec Ministry of Education, and consists of its own thick stream bureaucracy. Their objectives and regulations are all set forth by the Federation’s general assembly, composed of academic deans and presidents of school boards from all 48 CEGEPS, the President Director General, 11 members of the Directing Committee, and two counsellors to the General Directors, all of whom possess vague official titles and overlapping responsibilities. To ensure that these idle bureaucrats have a task at hand, the R-scores are not calculated in-house. All CEGEPS send out student marks and applicable averages to the Ministry of Education where they calculate the R-score based on their algorithms. Climbing the mountain of bureaucracy involved with amending the way Quebec students are graded would be a nine-to-five job, and this is problematic. This hinders capacity for change within our education system because the process to ignite progress would be long, tedious and bureaucratic, like everything else in this province. The Dawson Dean of Academic Services and Dean of Social Science have not responded to interview requests for this article. Dalia Ataev is a first year Illustration student. You can view more of Dalia's work here.